Earlier this year in São Paulo, Brazil, droughts struck so badly that residents were forced to drill through their basements and car parks to reach fresh water. 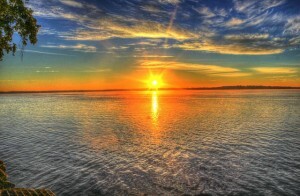 Statistics from the World Preservation Foundation show that the water around the globe is rapidly fading. Of the world’s major rivers, at least one third are disappearing or have disappeared and the groundwater wells for billions of people are rapidly drying up. California suffered its fourth consecutive year of drought with officials reporting that 2015 has been the driest since meteorological records began. The problem has been hugely exacerbated by the rise in water use per person. It’s clear that drastic action needs to be taken, and now! With 99% of Earth’s surface water being inconsumable seawater, could there possibly be a solution there somehow? The human body can not digest salt water, it’s a fact! Desalination/distillation was used in ancient times on board ships and is one of mankind’s earliest forms of water treatment. Desalination is simply the scientific method of removing salt from water through boiling the water, capturing the salt free vapour and turning it back into clean water – sounds easy! It does however require large scale facilities and a process that is expensive and energy-intensive. 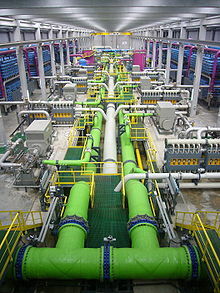 also operating desalination plants, it’s clear this could well be a solution to a very real problem. With plans in many more countries to follow suit and the hope that technological advances will bring down the cost of water desalination processes, the question “can we drink sea water?” could become as obsolete as the phrase “world water shortage“. Wouldn’t that be amazing!